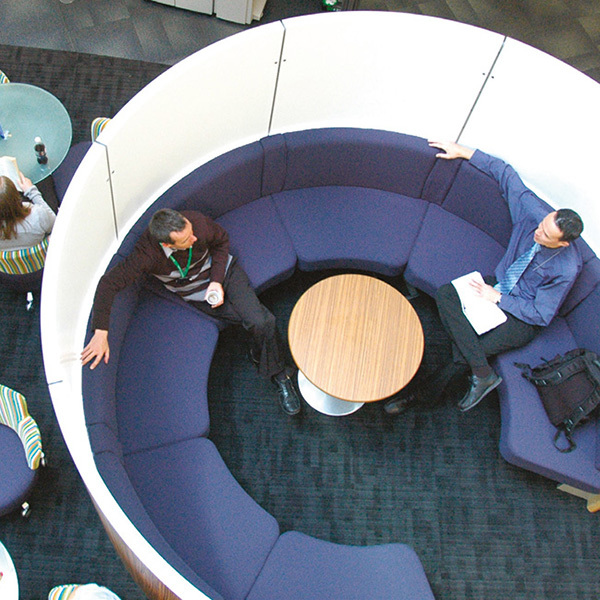 In 2002 Spaceoasis was founded with the aspiration of creating an iconic range of furniture for shared spaces in both Public buildings and Commercial offices. Conceived in partnership with Marks Barfield Architects, creators of the London Eye, the Spaceoasis Panel based modular system was born. Awarded FIRA’s Innovation Award, Spaceoasis now supplies leading companies, Universities, colleges and schools with stunning, functional furniture with our unmistakable aesthetic verve. Spaceoasis, a pioneer of product designs, has a product range that meets all the requirements of contemporary workplace design by combining the economy and flexibility of a modular system with the robustness, customisation and choice of colours and finishes offered by a bespoke system. 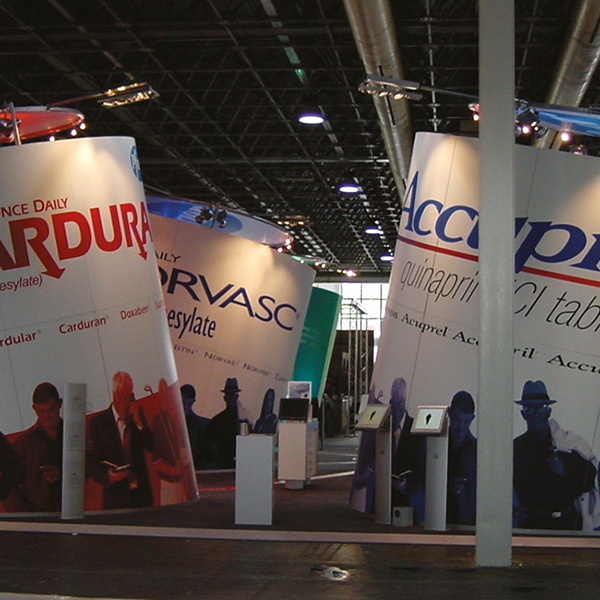 Spaceoasis products are available in a wide range of configurations and footprints which are customisable for finish, colour, fabric and graphics. Standard products can have panels subtracted or added to fit the space available in order to suit the number of users. We also work with designers to manufacture totally bespoke products that are not in our standard ranges. Our contract joinery division is highly skilled and equipped and has the experience to produce virtually any item of bespoke joinery. Spaceoasis products are used in the most demanding of public spaces and are designed and engineered to last. 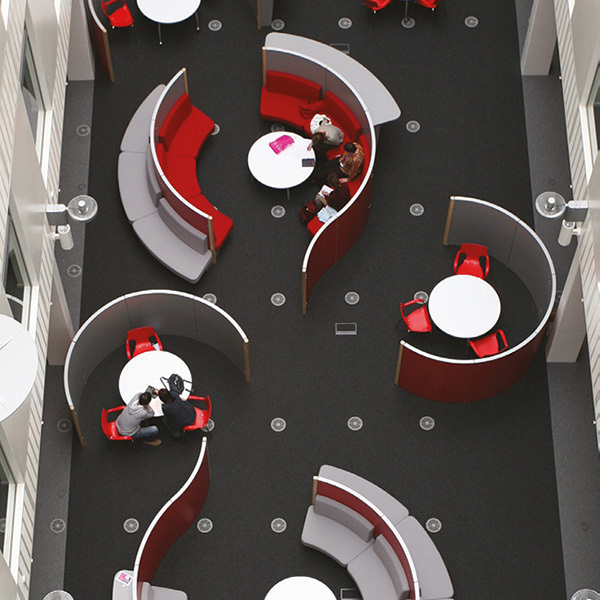 Even after a decade of use, our products are in pristine condition and are still used daily in university libraries, student unions, breakout and cafe spaces and high traffic reception areas. Spaceoasis curved panels are not fabricated but are manufactured in Ultra high pressure presses that ensure excellent dimensional accuracy and stability with resistance to delamination. We are so confident of our unique CurvPress® technology that we offer a lifetime warranty on our panels. Dry-wipe has come a long way since it was only available on wall-mounted whiteboards, with vast improvements in durability and ‘cleanability’. 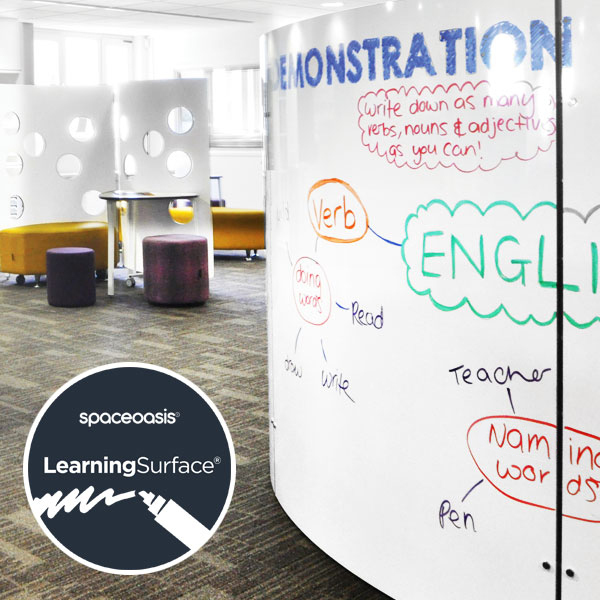 We’ve been developing our unique LearningSurface® range to bring you high quality, durable dry-wipe surfaces in all shapes and sizes; from table tops and desks to mobile screens and even moveable walls.